Wellness at workplace has become a matter of importance for employers around the world. With the ever-increasing workload, employees are getting burnt out and their sleep cycles are getting distorted. All of these are adversely affecting employees’ health and wellbeing. We all say “Health is Wealth”. However, this is the wealth which is not meant to spend but only to be earned abundantly. To help employees take up a healthy lifestyle, employers often provide employees with a room full of health equipment, a gym subscription or an endless supply of healthy snacks. But is it enough? 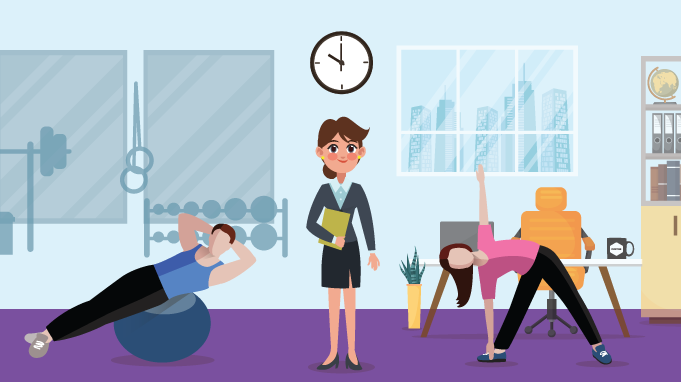 Is it possible for your employees to visit the gym in between their busy schedule they’re actually going to the gym or not? Or, for how long providing only healthy snacks at the cafeteria will please their taste buds? long term goals of the organization. Believe me, there are plenty of solutions out there. And for your relief, most of the solutions are very much feasible and cost-effective. Moreover, these solutions can be adopted individually or combined together to put an efficient workplace wellness program. An employee wellness program is an effective way to promote and exercise wellness at workplace. Such programs help companies battle the increasing rate of employee health problems and ensure the wellbeing of each employee. At the same time, it encourages employees to take up a healthy lifestyle. Comprehensive employee wellness programs help reduce the level of absenteeism, sick leaves or drop in their productivity due to other health ailments. Thereby, saving the company a lot back in return. Everyone hates Mondays and your employees are no different. In fact, they hate this particular day the most. And letting your employees start off their week in despair may have an adverse effect on their productivity. For avoiding this, you can plan and organise small meditation sessions on Mondays. These meditation sessions will help your employees get rid of their lazy thoughts from the previous day. Thus, helping them stay focused for the rest of the day and also impacting their mental health positively. Similarly, you can emphasize on different ways to incorporate wellness at workplace for the rest of the week as well. Awareness is the greatest agent for change. Everything you want to do starts with creating awareness. Starting off health campaigns in the organisation takes a lot of effort in the beginning. And for the most, the main challenge here is motivating the employees to take a closer look at their health. However, sending health articles and daily newsletters as a part of your workplace health promotion activities can help you spread health awareness amongst the employees. As the saying goes, “We are what we eat”. Organizing healthy potlucks once every month can be another add on to your employees’ wellness at workplace. Here, instead of bringing fatty and junk meals, you can encourage employees to bring healthy food. Also, a potluck is a unique way of increasing camaraderie among all the employees, thus strengthening workplace relationships. Organizing such potlucks will also impact the food choices your employees make. Also, they get to take away tips and recipes for healthy meals to try themselves. Encouraging the employees’ to take short breaks between work helps mitigate these problems. Using these breaks to take a walk, grab a healthy snack or spend it on some “Me-Time” will allow them to rejuvenate and improve their overall productivity. You will always find someone at your workplace who is both health conscious and a successful employee at the same time. These employees’ can act as a role model for all the others and encourage them towards leading a healthy life. You can assign them the title of “Health Ambassador” and let them be the face of good health in the organization. Also, you can give rise to healthy competitions within the employees for grabbing the title in the organization. Here, I’m not suggesting any punishment for your employees. Working while standing would help them to retain normal blood flow and also improves their body posture. On the contrary, seating for longer hours straight away without much physical movement can give rise to an array of health issues. To overcome this, you can arrange a few standing desks at your office that positively impacts employee health as found in studies. Moreover, the risk of fatigue arising due to sitting for long hours without any significant body movement decreases. As an employer, encourage your employees to cycle to work instead of bringing their vehicles. This is feasible based on how much distance an employee has to commute to reach the office. If most of the employees live within close vicinity of the organisation then this is one of the best ways to implementing wellness at workplace. With this, you are also helping them to put curb their carbon footprint impacting the environment. 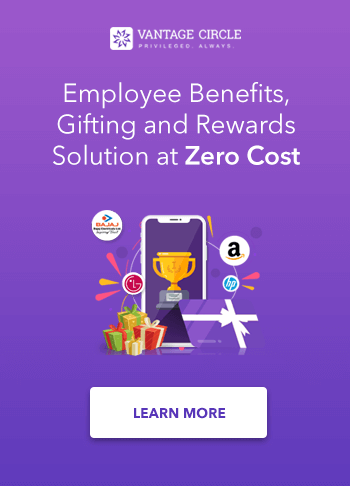 Similarly, you can also organise short cycling tours and cyclothons amongst your employees’ with meaningful rewards for the best performers. This will further encourage employees to improve their health through cycling. Smoking is a very common habit among professionals nowadays. And the reason for this as cited by many is the ever-increasing workload. It is a known fact that nicotine is not a medicine, rather it adds fuel to heart and lung-related health problems. However, a smoke cessation campaign at the workplace can help your employees overcome their habit of smoking. Leaving smoke improves stamina, lung functioning and mitigates chronic heart problems. Thus, encouraging employees to give up their habit of smoking can help them achieve much better health. The problems related to workplace wellness has risen steeply over the last few years. And owing to today’s advanced technology, the solution for an effective employee wellness program is now at everyone’s fingertips. Using a corporate health app such as one like Vantage Fit is a smart choice for today’s mobile-savvy generation. Combining health and safety at the same time Vantage Fit gives accurate data enabling the user to safely indulge in any physical activity. This app is also packed with many built-in health features that can help them enjoy good physical health. 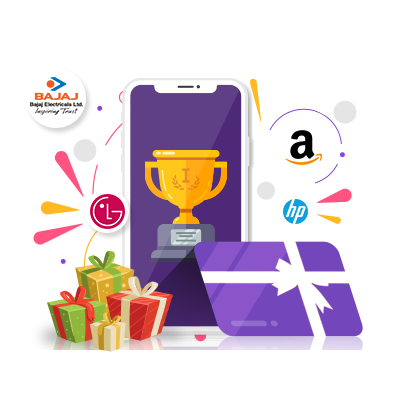 The app also facilitates the employers to hold health contest and create challenges like walkathons, marathons etc for their employees on the go easily. Thus, helping employers bring wellness to their workplace. Most of the workplace wellness issues arise due to the excessive workload which an employee has to bear throughout the day. This situation is again backed by the lack of a flexible work schedule that bares the employee from having some time to rejuvenate themselves. Allowing your employees to have flexible work hours can be a huge step towards implementing proper wellness at workplace. A flexible work schedule allows the employee to have some personal time which they can use for anything like getting some rest, hitting the gym or kayaking. This also makes the employees feel good about their work and helps them achieve a perfect work life balance. Mismanagement between them sometimes can cause chaos in their work-life from the financial point of view. At its peak, this leads to problems like stress, anxiety, sleep deprivation and give rise to heart diseases. Giving your employees’ sessions on budgeting can enable them to maintain sound financial wellbeing. Thus, mitigating the risk of many chronic health problems. The change to ensure proper wellness at workplace should always come from the top levels of the organisation. Employees look up to their seniors for motivation about everything at the workplace. Similarly, you can inspire them to take up a healthy lifestyle by throwing a challenge to them. Arranging walks or runs with the seniors at the workplace is a very subtle way to do so. This will give the employees’ two things i.e. A chance to be at par with their seniors and engage with them in a healthy competition. Improve professional relationships’ which is very essential for growth within an organisation. If the senior peers themselves embrace a healthy lifestyle then their subordinates will also feel motivated to follow their footsteps. Walking is a good exercise that helps a person keep his/her mind and body fit in every sense. Again, walking is an exercise that can be done anytime, anywhere and irrespective of anything. You can adopt the same as a part of the health and wellness program in the form of “Walk and Talk”. Walk and Talk is basically holding important meetings or discussions while taking a walk instead of sitting in a closed room. Walking a commendable distance daily helps keep a check on the calorie levels and also improves a person’s stamina level. Climbing up and down the stairs can make you burn some extra calories. It also improves the status of vital body parts like heart, lungs, limbs and joints. Encouraging employees to skip using lifts and use the staircase can be very effective in improving employee health. In fact, it’s the most cost-effective solution one can incorporate for ensuring wellness at workplace. Also, you can have challenges like “Stairs to Health” where you can track and reward the employees taking the most steps to motivate them and encourage a healthy lifestyle. An effective way to encourage employees to embrace a healthy lifestyle is by associating it with a social cause. Merging health activities with social causes gives the participants the opportunity to give back to society. This also strengthens the companies stand on corporate social responsibility commitments. PushUps for uplifting society etc. Moreover, you can also opt for giving your employees free passes for participating in community health events. Though I have already said workplace wellness is more than a gym membership or a healthy snack, they count in the list too. Building an in-house health centre can be a costly affair keeping in mind the cost of maintenance and hiring a professional to take sessions. However, you can opt for partnering up with a nearby gym for providing your employees’ with subsidised memberships. This again can be a good point to attract top talents to work for the organization. Wellness at workplace has also a lot to do with the surrounding environment where employees sit and work. Also, it is a known fact how a clean and green environment positively impacts one’s health and wellbeing. For ensuring the same, you can put up some plants around the office space alleviating the work environment which is crucial for uplifting employee health. Furthermore, plants help in keeping the surroundings free from toxic gases. Thus, letting the employees feel rejuvenated with some fresh air always around them. Observing such occasions at the workplace creates awareness among the employees about the importance of a healthy lifestyle. Furthermore, it also adds to the vibrant work culture within the organisation. Having some indoor games like chess boards, checkers, carrom boards, table tennis etc. is another great way to bring wellness at workplace. This will help your employees to rejuvenate themselves between their work. Engaging them in such activities will keep them away from being idle during their free time or spending it on smoke breaks. Having indoor games also improves workplace camaraderie amongst the employees. Let’s wrap up the week here. If you want your employees to enjoy sound mental health along with good physical health then facilitating yoga sessions is the way to go. Organising yoga sessions is one of the most feasible workplace wellness tactics that can be put in place. As an employer, you can plan yoga sessions every Friday anytime during breaks. You can search for a yoga practitioner from among the employees to head the sessions. Or, you can hire a pro for taking yoga sessions of your employees. Yoga brings mindfulness and letting your employees enjoy their weekends carefree is a good way to wrap up a hectic week. Wellness at workplace shouldn’t remain limited to providing employees with health covers or free medical checkups. A healthy workplace is truly achieved when there is direct participation of employees in programs for improving their wellbeing. Adopting a proper workplace wellness program is important for ensuring a healthy workplace. Furthermore, only happy and healthy employees will perform better thereby bringing the best out of your workforce. Thus, putting in place an effective employee wellness program has now become the need of the hour. Do you have anymore cost-effective workplace wellness ideas that went missing here? We would like to hear them out in the comments below.